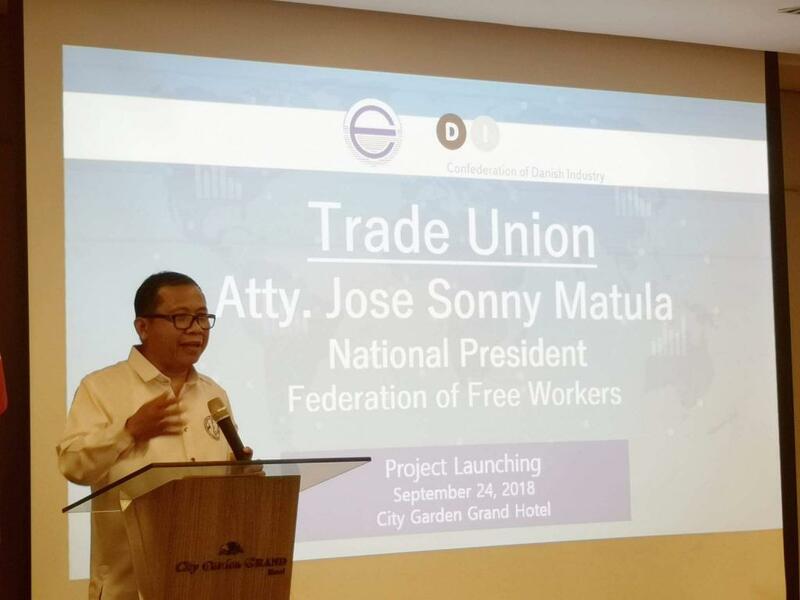 In a rare public display of unity, the country’s largest organizations of employers and trade unions yesterday launched a project aimed at strengthening bipartism at the national and enterprise levels. It is seldom for the Employers Confederation of the Philippines (ECOP), Philippine Chamber of Commerce and Industry (PCCI) and the Philippine Exporters Confederation (Philexport), on one hand, and the Trade Union Congress of the Philippines (TUCP), Federation of Free Workers (FFW), and the Sentro ng mga Nagkakaisa at Progresibong Manggagawa (SENTRO), on the other, to agree on critical workplace issues. They have been recently debating on contractualization, security of tenure, minimum wage increases, to mention a few. Yet such disagreement was momentarily set aside when their leaders unanimously declared their support to bipartism as the key to a more meaningful consensus-building process and lasting industrial harmony. A memorandum of agreement (MOU) was signed among themselves to institutionalize the partnership. 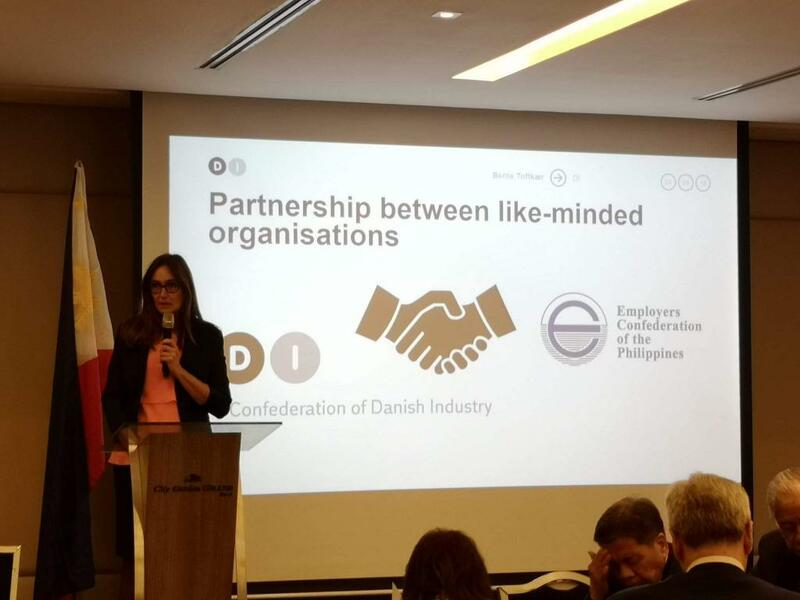 Entitled “Strenghtening bipartism at the national and enterprise levels,” the project is being spearheaded by the Employers Confederation of the Philippines (ECOP) with the support of the Confederation of Danish Industry (DI). It draws its inspiration from the Danish system where bargaining at national level provides a framework for much of the industrial relations system. Pay and conditions of work are negotiated between unions or “cartels” of unions and the employers at the industry level, but complementary negotiations at company level are becoming increasingly important. Bente Toftkaer, Head of the DI Business Environment, said this is possible because the organizations of employers and workers in Denmark are both strong and could negotiate with each other on equal footing. The project aims to 1) establish a functioning and institutionalized bipartite dialogue mechanism among the employer groups and trade unions to discuss and decide common positions on policy issues or programs/ activities; and 2) jointly conduct enterprise-level activities that will capacitate both worker and management representatives to engage in effective dialogue and other negotiation activities. The idea is to set-up a Leaders’ Forum comprising the top officials of the employers’ organizations and trade unions which will be regularly convened to discuss issues of common concern, arrive at a consensus on them, and document such agreement by way of social accords. They will also identify at least nine (9) participating companies where the labor groups have affiliated unions and whose management will agree to participate in enterprise-level activities that will enhance trust and confidence between them and improve the existing dialogue mechanisms in place through various capacity-building programs such as thematic workshops, mentoring, and benchmarking exercises. 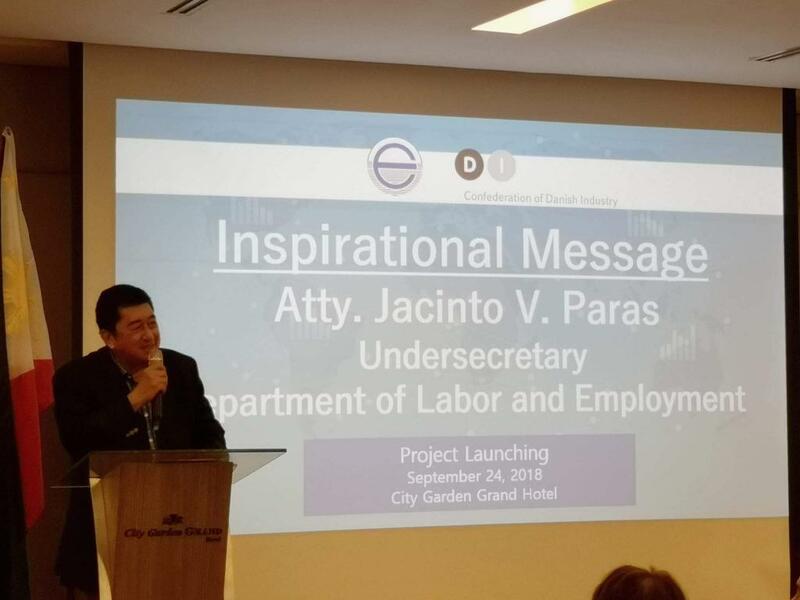 Undersecretary Jacinto Paras of the Department of Labor and Employment (DOLE), who delivered an inspirational message during the launching ceremony, commended ECOP for initiating the project and its partners for supporting it. “Strong bipartite partnership serves as a driving mechanism in maintaining the country’s industrial peace and inclusive economic growth, ” Paras said. The tripartite partners acknowledged the role of tripartism in shaping labor, social and economic policies and programs of the government. However, they also emphasized the need to strengthen bipartism as a necessary pre-condition to tripartism. “National labor and social policies that originate from prior agreements between employers and workers become more binding because they have buy-in from stakeholders, ” Philexport President Sergio Ortiz-Luis Jr. explained. ECOP Honorary President Rene Soriano lamented that bipartism through industry-level bargaining which was championed by former DOLE Secretary Blas F. Ople never gained ground. He expressed the hope that the project should be able to revisit the merits of bipartism to initially start the debate on contentious workplace issues between employers and workers through their representative organizations and be able to arrive at a consensus by agreeing on basic principles that will uphold the interest of the greater majority. For her part, PCCI President Alegria Limjoco agreed that the consensus-building framework has proven to be an effective platform for implementing programs that benefit both workers and enterprises. “PCCI believes that this new program will provide newer perspectives and best practices that will further refine future joint interventions and enable worker and management representatives to dialogue effectively to their mutual benefit,” Limjoco said. While expressing optimism over the eventual outcomes of the project, FFW President Jose Sonny Matula cautioned that there will be obstacles along the way. “This grand initiative will face many setbacks but we must ensure that we keep on pushing forward,” he added. “We are one with ECOP in trying to improve not only working conditions but also relations with employers and ultimately the improvement of the situation in our country. We are all Filipinos and we are duty bound to do this,” Edralin said.